Upfront quotes, insurance checks and tenant feedback can help property managers avoid costly mistakes with their tradespeople. 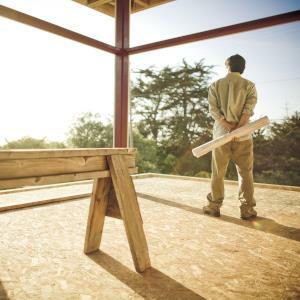 Davey Real Estate Currambine director Sara Young told RPM the most important aspect to consider when searching for tradespeople is whether they’re adequately insured and licensed. Ms Young said property managers should also get verbal testimonials and recommendations. “If using a tradesman who is unknown to me, I would also suggest they quote upfront to avoid unexpected surprises for the landlord,” she said. According to Ms Young, it’s important to find reliable tradespeople since most landlords view them as a reflection of the agency. “We need to engage contractors that are consistent with our brand, that reflect the same values, quality and return as we promise,” she said. Ms Young said sourcing tradespeople through fellow property managers’ recommendations has been a great time saver for her Perth agency. Qura Property director Samantha Gatherum-Goss told RPM that networking group BNI has been a valuable aid in finding quality tradespeople for her business. “While this is mainly for networking to grow my own business, my group also has some great tradespeople who are incredibly reliable and are very keen to get new business – particularly with agents,” Ms Gatherum-Goss said. Ms Gatherum-Goss said asking tenants for feedback and physically attending the property is a great way to ensure the quality of work done by tradespeople.